osTicket Activity Stream Monitor events as they happen! Software Instructions will be provided in browser after payment. This powerful reporting tool integrates seemlessly utilizing the new (and mostly undocumented) Plugin architecture of osTicket to provide a better more polished product. 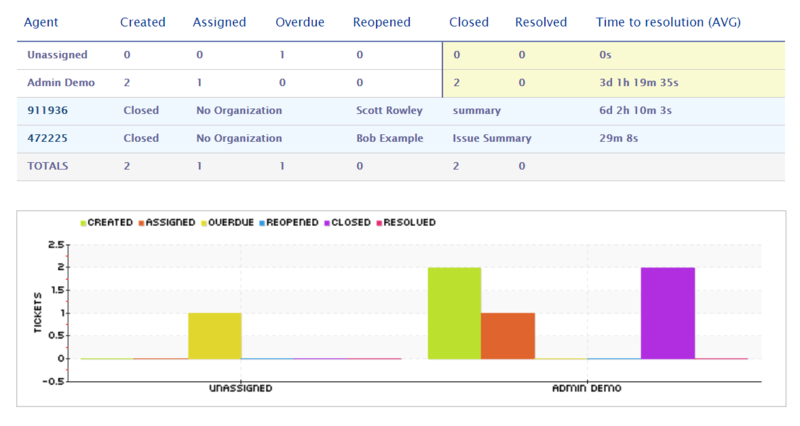 Gone are the days of modifying the source code to install the best reporting tool for osTicket. We've tested the plugin on multiple versions of osTicket on branches 1.9.15, 1.10, and 1.11, however, the latest code is being developed for osTicket 1.11 only. We offer the Reports Plugin in the following languages: English, French, Swedish, Arabic, Italian, and Afrikaans. Multiple time ranges - or just specify a custom range! Over the years we've gotten many requests to trial the product. To facilitate these requests we have setup a demo site. The demo site is reset daily at 1050 CDT so feel free to play around in it as much as you want. New Added 'Tickets per Priority'. Fix SQL update to exclude NULL ticket IDs. Fix Changed "Time to Resolution" to 0 in ticket rows when status is Open. New Added report type filter. 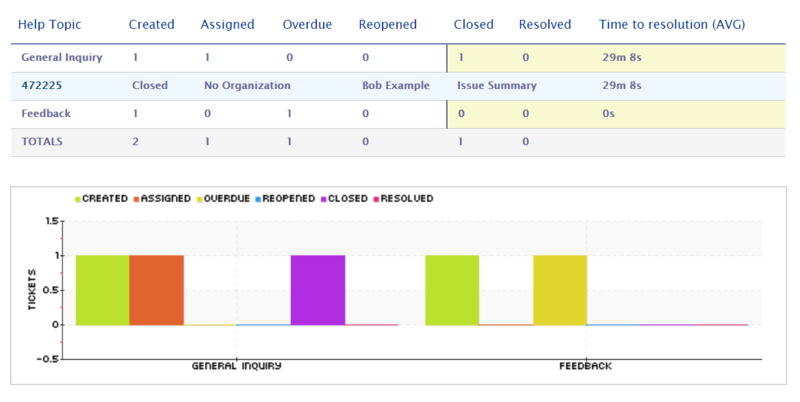 Focus a report in on a specific team, department, organization, user, or agent. Misc Minor CSS tweak, rounded section headers. New Updated to work with osTicket 1.11. Misc Cron / Email updates. Do you have an idea for a plugin? Send us your ideas. If you are the first person to send us an idea and we make your idea into a plugin you receive a free copy of the plugin.